« Joy to the World. This is a Worldbuilders blog. It should come as no surprise that DAW has a special place in my heart. They are my publisher, after all. And without my lovely editor Betsy, I wouldn’t be where I am today. Continuing a long chain of generosity and kindness, the folks at DAW have donated boxes and boxes of books to Worldbuilders this year: signed books, out of print books, ARC’s…. The truth is, they sent so many books that I can’t fit them all into one blog. So this first one will just be the signed copies. Hardcover copies of City of Golden Shadow, River Blue Fire, and Sea of Silver Light by Tad Williams. Signed by the author. Back in the day, when I was toiling away on an early version of my book, reading Tad’s stuff gave me hope. I knew my book was going to be Big, and it reassured me that big, thick fantasy novels like The Dragonbone Chair had a place in the publishing world. These days, Tad Williams and I share both an agent and an editor. In the publishing world, that makes us the equivalent of half-brothers. I met him one week before my own book hit the shelves, and I wrote one of my very first blogs about it. Here’s a link, if you’re interested. Suffice to say that I’m fond of Tad for all sorts of reasons, so you really shouldn’t trust my opinion about his books. I’m biased. A hardcover copy of Tad Williams‘ Shadowmarch with signed bookplate. A hardcover copy of Tad Williams‘ The War of the Flowers with signed bookplate. A hardcover copy of The Hidden City by Michelle West with signed bookplate. Michelle West is another person that I’m hopelessly biased toward. Not only did she write my favorite review ever for my book, but she’s a profoundly lovely person on top of it. An ARC of Prophets by S. Andrew Swann with signed bookplate. An ARC of Flight of the Renshai by Mickey Zucker Reichert with signed bookplate. A copy of Stronghold by Melanie Rawn with signed bookplate. An ARC of The Cracked Throne by Joshua Palmatier with signed bookplate. Two sets of Owlflight and Owlsight by Mercedes Lackey and Larry Dixon. A copy of Gwenhwyfar: The White Spirit by Mercedes Lackey with signed insert. A copy of the ARC for Foundation by Mercedes Lackey with signed bookplate. ARCs of the first two books in C. S. Friedman‘s Magister Trilogy: Feast of Souls and Wings of Wrath, both with signed bookplates. “C.S. Friedman makes fantastic things-and frightening things-seem very real. Her characters are people, not just place-holders, and the worlds she creates are tangible as a live feed from the battlefront of a crash-landing in a savage and unfamiliar wilderness. She also writes bright, clear prose taht can shine like gemstones or cut like broken glass. If you haven’t read her work you need to do something about that right now.” – Tad Williams, bestselling author of Shadowmarch, Otherland and Memory, Sorrow and Thorn. A copy of the ARC of The Wilding by C. S. Friedman with signed bookplate. A hardcover copy of King’s Dragon by Kate Elliott. Signed by the author. A hardcover copy of The Burning Stone by Kate Elliott. Signed by the author. A copy of the ARC for Crown of Stars by Kate Elliott with signed bookplate. A copy of the ARC for Rift in the Sky by Julie E. Czerneda with signed bookplate. A copy of the ARC for Conspirator by C. J. Cherryh with signed bookplate. A copy of the ARC for The High King’s Tomb by Kristen Britain with signed bookplate. A copy of The Golden Key by Melanie Rawn, Jennifer Roberson and Kate Elliott. Signed bookplate by all three authors. 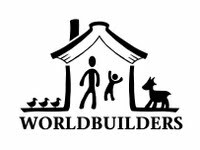 There are two more blogs full of books that DAW has donated to Worldbuilders. Here’s the second and third one. if you’re interested. Remember folks, for every 10 dollars you donate to Heifer International, you get a chance to win hundreds of books: some signed, some limited edition, some out of print. Plus there’s the whole helping make the world a better place thing. That’s nice too. And don’t forget, I’m matching 50% of all donations made. 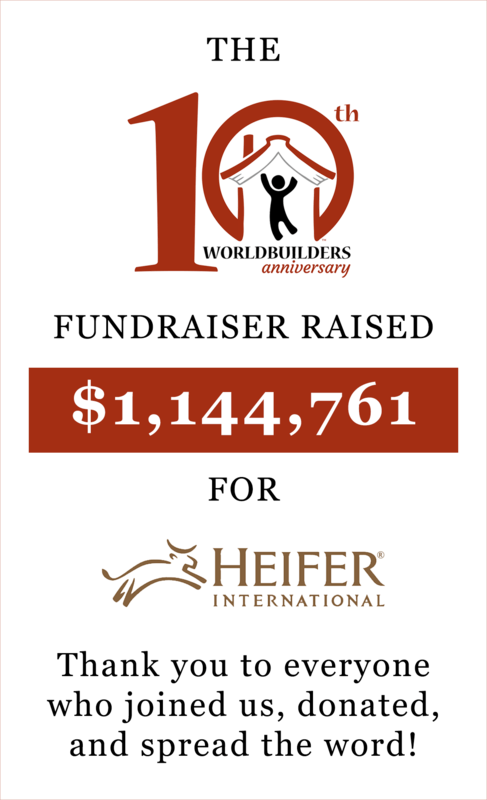 So why not head over to my page at Team Heifer and chip in. Trust me. You’ll feel great afterward. Or, if you want to go back to the main page for the Worldbuilders fundraiser and read all the details, you can click HERE. With thanks to our sponsor, Subterranean Press. You know, it’s a sign of true fame and glory when you have a wiki article about you. I did the best that i could for a student. ^_^ Great work! I am stupidly excited about this pile of loot and three cheers to DAW! Time to donate some more money! Out of curiosity, could they not find a copy of Mountain of Black Glass? Cool, lots of new books to check out! I know it’s rather mean and judgmental of me, but some book-cover artists deserve to be burned at the stake for what they do to some books. I love that you’ve upgraded the relationship between yourself and Tad from cousins to half-brothers. Pat, you are not biased at all. I decided to give Otherland a try once you suggested the book, and I’m totally hooked up. Tad Williams is God. Seriously, his storytelling is brilliant. His work is impressive, and I’m only at the beginning of volume 2. He is quite an author. I love stories. And long books. So, when a great storyteller like you suggested this long four-volume book, I knew I’d better check. And I’m quite impressed by the Otherland series. Nah, that’s an understatement. The aesthetic pleasures this book is giving me make me feel addicted to this kind of literature. And I want to thank you for that. No wonder you became such a great storyteller yourself, having been nourished with stories that are truly inspired.